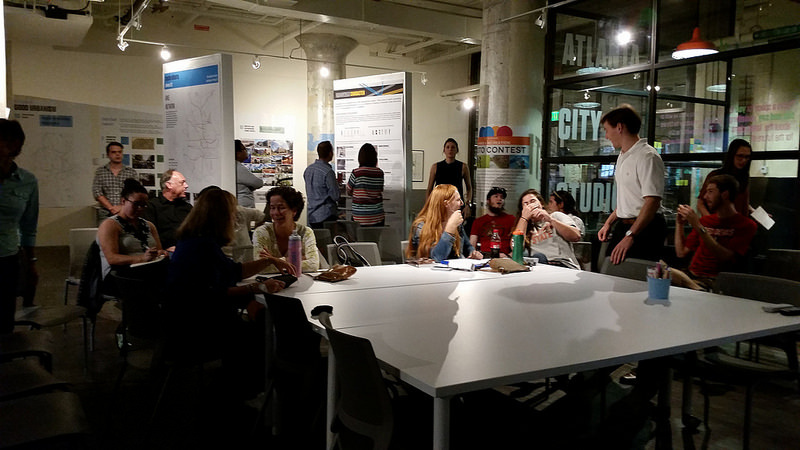 Please Come see part 2: Streets: Designing a Master Street Plan (Part II) on Tuesday, December 13th at 6:30 pm at the Atlanta City Studio on the 2nd floor of Ponce City Market. "Streets" is one the Architecture Tourists favorite subjects, streets as public spaces, making them more fun, less boring, more democratic. It's free. I'll be there. Please say hey. Don't let the word "lecture" scare you off. This will be fun. Paul L. Knight, architectural and urban designer at Historical Concepts and president of Douglas C. Allen Institute for the Study of Cities, will present his second lecture about Streets on Tuesday, December 13th at 6:30 pm at the Studio. Last month we learned why streets are the most critical and long-lasting components of our cities. If you missed it, you can view a recording of the lecture below. This month, Paul Knight returns to explain how to analyze the best examples of American town planning, garnering design lessons and principles that can be used for future development.The free second seminar focuses on master street planning and design. Come join us to learn how streets can improve our cities. Please come early--it was a packed house last time and we ran out of chairs. Here's part 1, about 38 minutes. Part 3 to be announced soon. What is the Douglas C. Allen Institute for the Study of Cities?